Based in Hong Kong, Thomas provides daily insight and analysis on Asia’s financial markets as the Managing Editor of Pageant Media’s leading hedge fund-focused publication, AsiaHedge. Prior to covering the hedge fund community, Thomas, worked as the Asia Editor for PEI Media where he led a team of journalists covering the unlisted alternatives asset classes: private equity, real estate, and infrastructure. 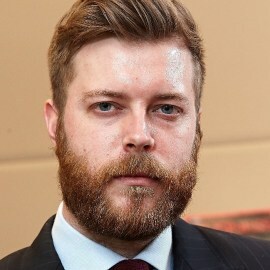 Thomas has also worked as Features Editor and News Editor at a number of financial publications in London.